This is the 3rd post about our bathroom remodel. For more information about each step of this process, click here. 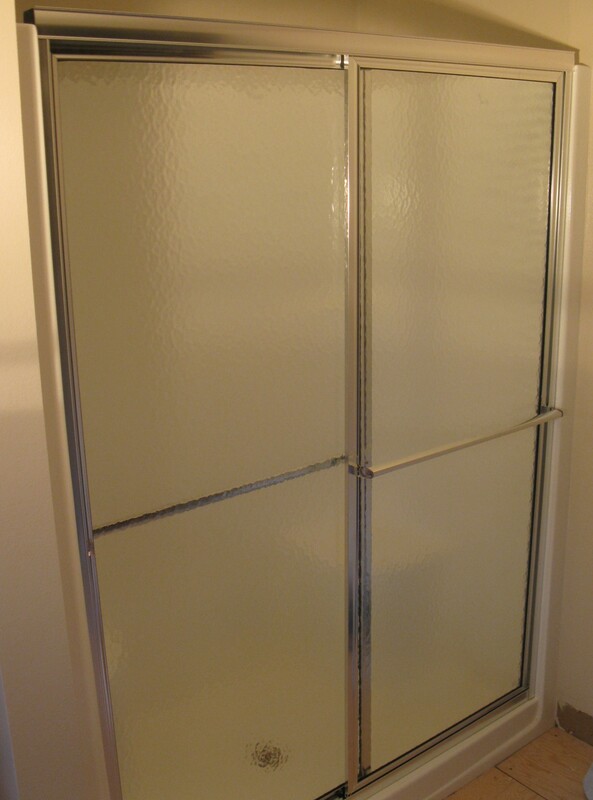 Our second project in the bathroom remodel was to replace our old shower doors. 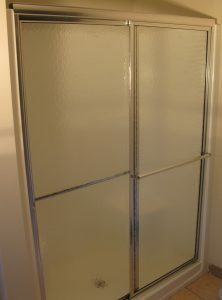 The Coastal shower doors that we installed were our single most expensive purchase in this remodel, but we have been impressed with the doors and we’re glad we bought them. My husband and I together easily managed a self-install of the doors following the directions included in the package. We have had them installed for five months now and are still very satisfied with both the quality and look of the doors. These shower doors are a remarkable upgrade from the prior ones. 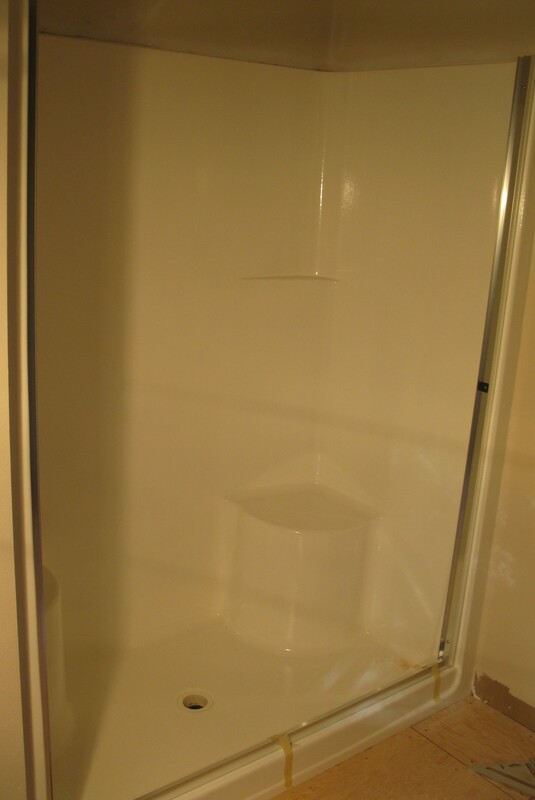 I remember, when we first looked at this house before buying it, the master shower was an eyesore. I thought some rounds of deep cleaning would make the difference, but the truth was that I could never clean it deeply enough. 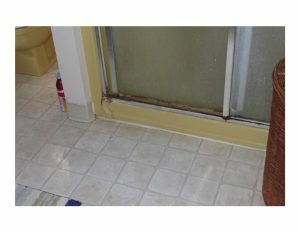 The shower would accumulate the mildew, water stains and other markings again. 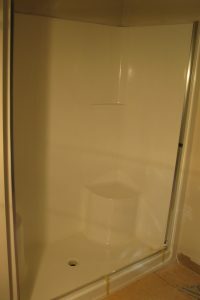 I have coped with this shower for nine years and now that we have finished the shower epoxy repaint and installed these doors, I am grateful to have such a slick-looking shower that is easy to keep clean. We purchased these shower doors at Home Depot. (click on the text to link directly to Home Depot) The primary features of the doors are: no bottom channels that trap build-up, a mildew resistance on the doors, quiet door sliding and an overall lovely, clean look that I’ve come to appreciate so much. the level of build-up at the base of the prior shower doors – EWW!! For more information about this bathroom remodel, click here.